The history of democracy is all around us — ideas and events that have defined it, the actions of people who have shaped it, places where democratic values have been challenged, defended, or defeated. 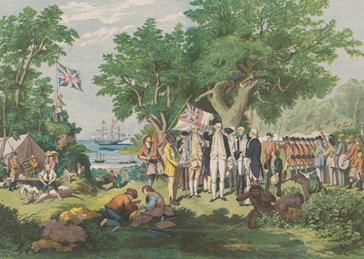 Captain Cook taking possession of the Australian continent on behalf of the British Crown, AD 1770, under the name of New South Wales. Courtesy of National Library of Australia. Our Exploring Democracy timeline contains nearly 500 milestones that mark key events and turning points in Australian democracy. It takes you on a virtual journey through time and place, and you can witness key moments in the history of democratic ideas, laws and institutions. 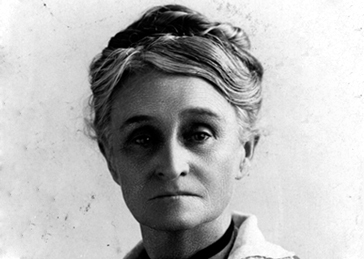 Edith Cowan, the first female Australian parliamentarian, elected to the Western Australian parliament in 1921. Image courtesy of the Battye Library, State Library of Western Australia. Meet the people who have helped to shape Australian democracy. They range from prime ministers and premiers, Indigenous leaders and explorers, to law makers, activists, academics, inventors and more.